Website Description: The Barcelona Airport Information Guide blog provides news, updates, information and more about Barcelona Airport. 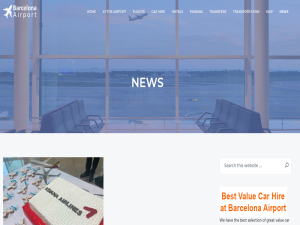 Visit the blog today to find out more, or take a look at the website to find out more about Barcelona Airport and the facilities available, including live departure times, car hire details and more. Add the Review Me Button to your Website!